Take advantage of the long summer evenings with live music beside Greenville’s beautiful Reedy River. South Carolina BLUE Reedy River Concerts are held at the TD Bank Stage at the Peace Center—the open-air amphitheater beside the Wyche Pavillion—on Wednesday evenings throughout the summer months. This season’s lineup includes Greenville natives The Bad Popes and the Spartanburg-based band Brandy Lindsey and the Punch. These free concerts start at 7 p.m. Bring a blanket or lawn chair and pack a picnic dinner, or plan to buy a hot meal from one of the popular Greenville food trucks that will be on site. For more information about upcoming concerts, visit the Reedy River Concert Facebook page. 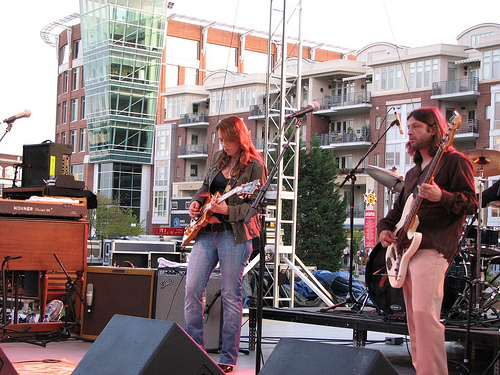 The Reedy River Concerts are just one of many free music series during the summer in Greenville. You can also check out Furman’s Music by the Lake and the two Main Street concert series: Downtown Alive on Thursdays and Main Street Fridays.